Citing "people involved in setting up the Jio GigaFiber", the publication claims that Jio will "rollout the service commercially in March 2019". in August last year and it has been in the testing phase since then. Jio GigaFiber is Reliance's FTTH broadband service that promises to offer a download speed of up to 1Gbps and 100Mbps upload speed. It isn't just a standalone broadband service as it looks to encompass an all-in-one solution for broadband, IPTV, landline, and smart home solutions. Additionally, users can connect VR headsets to their GigaFiber network and stream 360-degree content in 4K resolution. While the rollout is expected in March, Jio had previously confirmed that GigaFiber will be first launched in 1,100 cities. However, in the first phase, the rollout is expected to happen in 29 Tier 1 and Tier 2 cities. These cities include Agra, Bengaluru, Chennai, Chandigarh, Ranchi, Patna, Allahabad, Raipur, Nagpur, Ghaziabad, Pune, Indore, Thane, Bhopal, Lucknow, Ludhiana, Madurai, Nashik, and Guwahati among others. Jio's broadband will also power Giga TV (Jio's TV set-top box) and Jio Smart Home devices. The company is offering Giga TV and a voice-activated remote along with GigaFiber connection. According to Jio, Giga TV will offer "600+ TV channels, thousands of movies, millions of songs, and any other type of content possible." Further, users will have access to JioCinema, JioTVCall, JioCloud among others. Currently, Jio is offering a free preview offer wherein users will have to pay a refundable security deposit of Rs. 4,500 for the GigaFiber router and GigaTV set-top box. Under this offer, you will get 100GB of data at upto 100Mbps for 90 days. 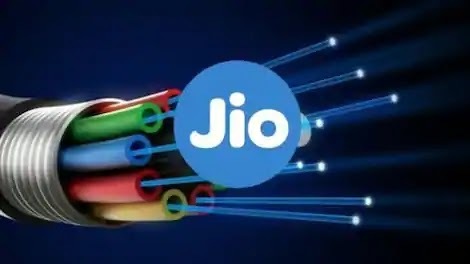 While Jio is yet to announce the official plans for GigaFiber, reports suggest they will start from Rs. 500. According to Trak, Rs. 500 and Rs. 750 base level plans will offer 300GB and 450GB of monthly data at 50Mbps, respectively. The mid-level Rs. 999 and Rs. 1,299 plans would offer 600GB and 750GB of data at 100Mbps, respectively. Further, if you consume the data, you can get a free top-up of 40GB via MyJio App or Jio.com. Awaiting the same. Excellent services.